We heard the rumors circulating for awhile now and it looks like the inevitable has happened — Sony has just bought Sony Ericsson for €1.05 billion. I’m sure some of you are confused with the news thinking, “Wait. Sony bought Sony?” Not quite. Sony Ericsson was actually its own separate company (Ericsson) that turned into a joint venture when Sony essentially bought half of the company back in 2001. This buyout now gives Sony full ownership of the company and allows them to expand their portfolio beyond audio, tablets, laptops and gaming and allows Sony to make a big splash in the smartphone market as well. The agreement also gives Sony a leg up thanks to “five essential patent families” that come with the deal. Nothing is finalized yet with the deal closing January 2012 (pending regulatory approval of course). Full press release can be found below. 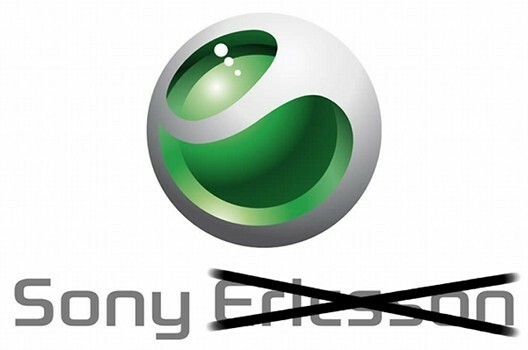 Ericsson (NASDAQ:ERIC) and Sony Corporation (“Sony”) today announced that Sony will acquire Ericsson’s 50 percent stake in Sony Ericsson Mobile Communications AB (“Sony Ericsson”), making the mobile handset business a wholly-owned subsidiary of Sony. The transaction gives Sony an opportunity to rapidly integrate smartphones into its broad array of network-connected consumer electronics devices – including tablets, televisions and personal computers – for the benefit of consumers and the growth of its business. The transaction also provides Sony with a broad intellectual property (IP) cross-licensing agreement covering all products and services of Sony as well as ownership of five essential patent families relating to wireless handset technology. As part of the transaction, Ericsson will receive a cash consideration of EUR 1.05 billion. During the past ten years the mobile market has shifted focus from simple mobile phones to rich smartphones that include access to internet services and content. The transaction is a logical strategic step that takes into account the nature of this evolution and its impact on the marketplace. This means that the synergies for Ericsson in having both a world leading technology and telecoms services portfolio and a handset operation are decreasing. Today Ericsson’s focus is on the global wireless market as a whole; how wireless connectivity can benefit people, business and society beyond just phones. Consistent with that mission, by setting up a wireless connectivity initiative, Ericsson and Sony will work to drive and develop the market’s adoption of connectivity across multiple platforms. “Ten years ago when we formed the joint venture, thereby combining Sony’s consumer products knowledge with Ericsson’s telecommunication technology expertise, it was a perfect match to drive the development of feature phones. Today we take an equally logical step as Sony acquires our stake in Sony Ericsson and makes it a part of its broad range of consumer devices. We will now enhance our focus on enabling connectivity for all devices, using our R&D and industry leading patent portfolio to realize a truly connected world” said Hans Vestberg, President and CEO of Ericsson. When Sony Ericsson started its operations on October 1, 2001, it combined the unprofitable handset operations from Ericsson and Sony. Following a successful turnaround the company has become a market leader in the development of feature phones by integrating Sony’s strong consumer products knowledge and Ericsson’s telecommunications technology leadership. The WalkmanTM phone and Cyber-shotTM phone are well known examples. With the successful introduction of the P1 in 2007, Sony Ericsson early on established itself in the smartphone segment. More recently, the company has successfully made the transition from feature phones to Android-based Xperia(TM) smartphones. By the end of the third quarter of 2011, Sony Ericsson held a market share of 11 percent (by value) in the Android phone market, representing 80 percent of the company’s third quarter sales. During its ten years in operation Sony Ericsson has generated approximately EUR 1.5 billion of profit and paid dividends totalling approximately EUR 1.9 billion to its parent companies. Prominent models include “XperiaTM arc” and “XperiaTM mini” which received 2011 EISA Awards, while recent notable additions to the lineup include “XperiaTM PLAY” and “XperiaTM arc S”. The transaction, which has been approved by appropriate decision-making bodies of both companies, is expected to close in January 2012, subject to customary closing conditions, including regulatory approvals. Ericsson has accounted for its 50 percent share in Sony Ericsson according to the equity method. Following completion of the transaction, Ericsson will have no outstanding guarantees relating to Sony Ericsson and will no longer account for Sony Ericsson as an investment on balance sheet. The transaction will result in a positive capital gain for Ericsson which will be defined after closing of the transaction. SEB Enskilda is acting as Ericsson’s sole financial advisor in the transaction. Lenovo has just stunned everyone today by announcing no less than 3 tablet models: IdeaPad K1, the ThinkPad tablet and the IdeaPad Tablet P1. The first two are Honeycomb units, that are certified for Netflix, while the last is a Windows 7 unit. Another novelty is the support for pen input in Honeycomb, that comes with the ThinkPad model. This unit runs Honeycomb 3.1, that brings active N-trig pen input, meaning that you’ll use the pen as a cursor and also you’ll make good use of it in the note taking application Notes Mobile. Handwriting recognition is also supported and you get an on-board slot for docking the pen. As far as specs go, the K1 comes with a 10.1 inch 1280 x 800 pixel display, a Nvidia Tegra 2 dual core CPU and 1GB of RAM. You’ll find this model in 16, 32 and 64GB flavors and in the connectivity section you get WiFi, Bluetooth and optional 3G, plus microHDMI out. Two on board speakers and a 2 megapixel front camera, plus 5MP cam at the back complete the hardware features. The ThinkPad model uses the same screen, same resolution and same CPU as the previous model, except for the fact that it relies on an IPS Gorilla glass display. Also, it’s a tad larger and comes with a full size USB 2.0 port and pen dock. There’s also a SIM card slot on board, 3 in 1 card reader, miniHDMI port, microUSB port and WiFi. Bluetooth 2.0 and a 3G option round up the list. You’ll get 8.7 hours of fun out of the battery on this model (with WiFi on). Since this is a ThinkPad, you get the usual IT-friendly stuff: anti theft software, security apps, Citrix virtual app support, secure email and more. There’s also a leather keyboard folio that can be added to the slate, creating some sort of ThinkPad notebook. Finally, the P1 model runs Win 7, weighs two pounds and sports a 10.1 inch 1280 x 800 pixel display. Inside there’s a 1.5GHz Intel Atom CPU, up to 2GB of DDR2 memory and 32GB or 64GB of storage. WiFi 802.11 b/g/n, Bluetooth and 3G are also supported and ports include USB 2.0 and microSD card reader. As far as pricing goes, the IdeaPad K1 (32GB) and 16GB Thinkpad can be ordered right now from Lenovo.com and partners, shipping in August. They both have the same price: $499. For $529 you get a ThinkPad with pen and the keyboard folio will set you back $99. 3G units will come later and the P1 doesn’t have a price yet. It was a big day yesterday for Microsoft fans, who got to see an interesting Windows 8 tablet concept, that’s also pictured below. The next-gen device was shown during a Microsoft Worldwide Partner Conference presentation. This mystery slate show an UI similar to the one of WP7, a detail that has been stated a number of times till now. Windows Phone boss Andy Less recently claimed that tablets will never get WP7, although we’ve seen some ports recently. The purpose of Win 8 and the tablet that it will run on is doing everything a PC can do. However, Microsoft built Win 8 not only for tablets, but also for desktops, so everyone will be pleased. With recent rumors of Xbox 360 games support in the next Windows, things can’t get any better than this. Now, I’m curious what company will take on the production of the mystery tablet. Maybe HP… what about Dell or maybe a surprise like ASUS, Acer or HTC? The leak of the day is Dell material, although not an Android tablet like we’d have liked, but rather a Win 7 model with Core i5 processor. This new model can be seen in the video and images below, courtesy of a mystery source with the name Peju included. Is Dell Peju the final name of the device, or just a codename? There’s also a nifty docking station in the mix, as shown in the photos and you have to know that this new slate weighs 1.9 lbs and measures 0.63 inches in thickness. What’s really interesting is that this model is listed as Windows 8 compatible, when this OS hasn’t even been given a proper launch date. As far as input goes, this device supports touch stylus, a Bluetooth keyboard and USB keyboard via the docking station. JailbreakMe 3.0 Available Now, Frees Your iPad 2! If you’re an iPad 2 owner, now’s the time to rejoice, as you device can be jailbroken through the easiest method available. I’m talking about JailbreakMe 3.0, developed by the famous @comex. You don’t even have to connect your iDevice to a PC, just access www.jailbreakme.com and that’s it. Supported devices include the iPad 1 (4.3 to 4.3.3), iPad 2 (4.3.3), iPhone 3GS (4.3 to 4.3.3), iPhone 4 (4.3 to 4.3.3), iPhone 4 CDMA (4.2.6 to 4.2.8) and iPods – iPod touch 3g (4.3, 4.3.2, 4.3.3), iPod touch 4g (4.3 to 4.3.3). This jailbreak method doesn’t rely on the limera1n exploit, but on a userland one. This means you’re almost totally safe, but you can still damage the device after you get root access. Jailbreakme is very easy to reverse, through an iTunes restore and it’s even approved by the US authorities. iPad 2 Jailbreak Already Available! The folks of Engadget were among the first to discover that the iPad 2 jailbreak has been leaked and this seems to be the one they tested back in March. Well, there was a video posted with details about the hacking process, but now it’s gone, since it’s not quite self to perform such software tweaks yet. JailbreakMe 3.0 is now available on the iPad 2 and it was leaked by a beta tester apparently. This is NOT The final build, so maximum caution is advised. This only works for iOS 4.3, so if you’re the user of an updated iPad tough luck for you. Multiple reports are coming in saying that the jailbreak applies to the above mentioned iOS flavor and the 4.3.3 users are stuck with waiting. Update: Well, in spite of what Engadget are saying, Redmondpie have posted the video below in their article and they say that the iPads with iOS 4.3.3 also support the jailbreak. You’re only required to launch Mobile Safari and navigate to the URL shown in the video. Next up Safari will close and you’ll see a Cydia icon in the Home screen with a progress bar. When the Cydia icon appears it’s time for a reboot. After the reboot, you’re officially jailbroken! Voila! Samsung Galaxy Tab 8.9, the intermediary model between the first Galaxy Tab and the 10.1 unit is ready for its AT&T release, but only before passing the FCC testing phase. The model has just been spotted on the FCC official lists and we have to remind you that this model was officially announced during CTIA in March. What we have here is the 3G version of the slate, that passed through the FCC and its AT&T affiliation is proved by the supported 3G bands. We’re expecting some decent subsidizing from AT&T, making this model as affordable as it gets and maybe a solid iPad 2 alternative. If the usual business model is followed, we’ll see the WiFi version launching first and then the 3G one, for an extra buck or two. When I first saw the headline of the source below, I imagined I’d be flooded with a huge video of hands-on love with the latest Sony tablets. Instead, all I got is a picture of the S1 and 18 seconds of video showing me the S2 model. It seems that Sony had a conference going in Germany and these tablets were caught on camera in Munich. The S2 is particularly interesting with its clamshell design, unique for a modern tablet. It certainly looks like a glasses case when folded, as many people have claimed. Meanwhile, the S1 adopts the folded magazine styling I’ve been hearing so much about. We’re expecting a September release for these units! Rumors about Amazon entering the tablet PC biz have been available for a while now, but it turns out that we might see a model as soon as August-September. International sales could reach 4 million units this year and all this info comes from Taiwanese component makers. This launch is supposed to make the tablet a hot product at Thanksgiving time in the US and the year end holidays in Europe and the US. For the right price it might just be one of the hottest items this Christmas. Amazon uses Texas Instruments processors, while Taiwanese company Wintek supplies touch panels. ILI Technology provides the LCD drive ICs and Quanta Computer takes on the assembly. Shipments are expected to reach 700,000 – 800,000 units each month. Amazon will also deliver movie streaming services for users of its tablet, according to the same sources. Amazon Tablet to Sport FFS Display, Arrive in H2 2011? Amazon Tablet Coming This Holiday Season? Toshiba’s Android Tablet Coming in September?